Rachel Miller welcomes a fresh start after a whirlwind courtship with a kind and thoughtful man. Adam is the seventh generation cemetery keeper in a small New Jersey town. Soon after arriving there Rachel discovers the monument to Tillie Smith who died in 1886. The stone carving beneath the statue "She Died in Defence of her Honor" reminds Rachel of her troubled past and inspires her to learn more of Tillie's story. This is an engrossing tale of secrets from the past and the present that will appeal to the history lover and resound with happenings in our present day world. On her first walk through the lush and silent grounds of her new home, Rachel discovers a stunning monument to Tillie Smith, who died in 1886. Reading the words carved into the stone, "She Died in Defence of Her Honor," Rachel is overcome by a powerful memory buried deep in her past. 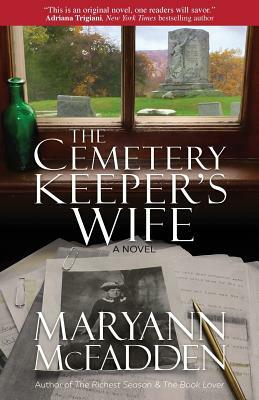 The Cemetery Keeper's Wife poignantly blends fact and fiction as two women scarred by shame, and separated by more than a century, reach across time to rewrite history.